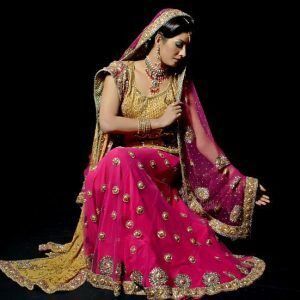 Tags: Angrakha, Deep Red, Gharara, Gold, Nikah & Engagement. Red angrakha style shirt open from both sides. Embellished border implemented on each slit and hemline. Small ornamental motifs implemented before hemline. Light gold banarsi gharara and chiffon dupatta. Dupatta having crystal stone spray all over it. 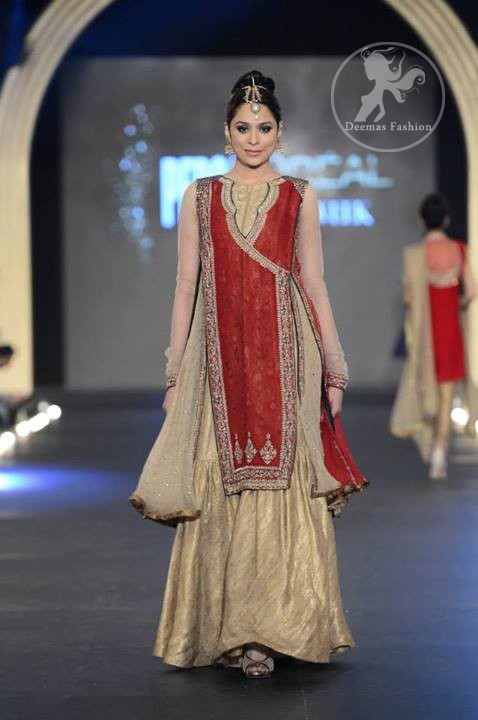 Embellishment work includes kora, dabka, rashem, crystal stones, sequins and bead work.